I didn’t quite realize how much of a Power Rangers fan I was until yesterday. 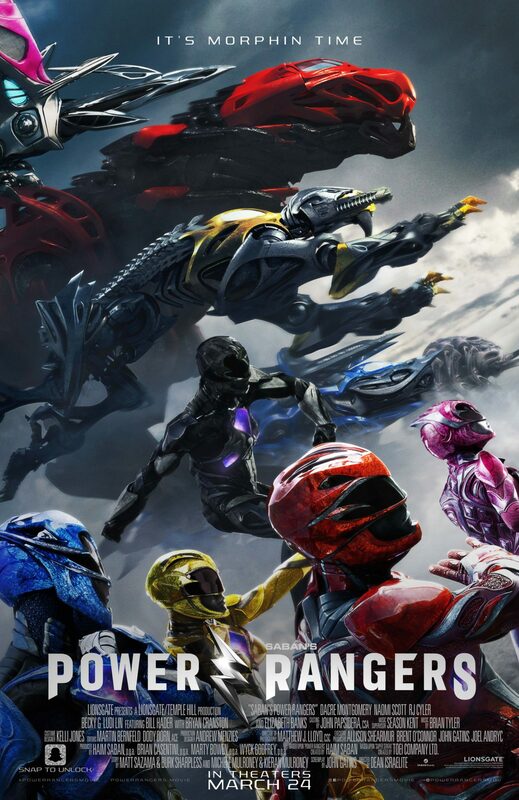 Knowing that I was about to see Power Rangers, I spent the day singing the old theme—and I don’t just mean the chorus, I mean the lyrical verses that remind us that “Noooooo one can ever take them down!” That being said, I went into the movie with . . . medium expectations. They weren’t too high, but they weren’t bottom of the barrel, either. 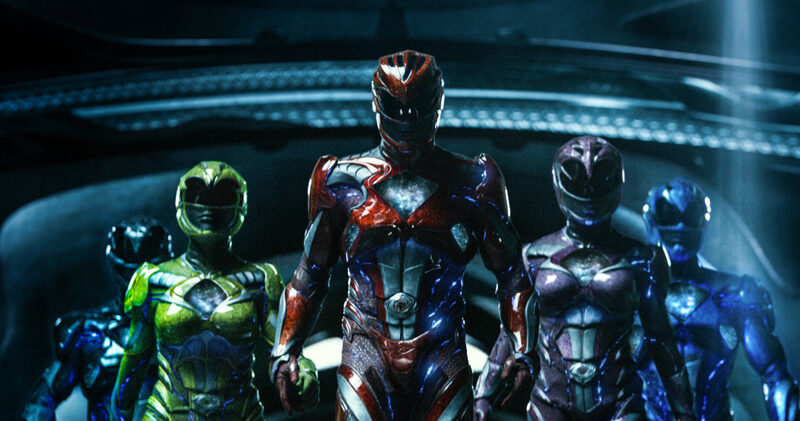 I do feel like I may have been one of the few MMPR fans who didn’t want a rehash of the ’90s cheese on the big screen. I made peace a long time ago that what worked in the ’90s would not translate well in 2017. I dare say the ’90s movie didn’t work super well then, either—thanks for the reminder, CinemaSins and Screen Junkies. The things you can get away with in a long-running television series that uses Japanese footage are vastly different from a motion picture where you have about an hour and a half to tell a story. Let’s all admit that the emergency-button crotch shot was a bad idea back then, okay? So yeah, I went in wanting a 2017 version of a group of teenagers saving the world with multi-colored suits, dino-mechs, and a floating head serving as their adviser. And you know what? That’s exactly what I got. Let me put your mind at ease right off the bat: this is a good movie that does justice to the franchise we grew up with. There are a lot of things that this film does right and some things that are kind of meh. But in a world where five youths of the nation are expected to fight a villainous woman who can make things grow, the setup is surprisingly believable and, more importantly, entertaining. I love the original team of Jason, Zack, Billy, Kimberly, and Trini, but looking back, there’s not much in regards to character development. We could honestly call them: the leader, the black one, the nerd, the girly girl, and the Asian girl. Sure, there’d be the occasional episode where one was faced with a dilemma: maybe Jason had a martial arts tournament coming up, or Kimberly had to choose between being on a gameshow or fighting a rapping pumpkin, but as far as relatable characteristics beyond “hip black kid who liked to dance” or “glasses-wearing nerd who said affirmative instead of yes” there wasn’t much there. The idea of revamping these characters is actually the best thing this movie did. Some reviewers may call it a “gritty” reboot because the teens have their own issues to deal with outside of the whole “Rita is gonna wreck your town” plot. To me, it’s not gritty to give high school kids a well-rounded personality; it’s good writing. I’m honestly surprised that I liked the main five as much as I did, and liking them is key in a movie that serves as an origin story for a group of flawed superheroes. More importantly, each ranger is different and goes beyond the archetypes that we got in the ’90s. They’re not these purely good, ready-for-action kids who skydive for charity before rollerskating to rockin’ music—let’s face it, that wouldn’t translate well today. These kids make mistakes. These kids question Zordon’s motives. These kids are unsure of themselves, and Zordon is unsure of them. These kids are . . . kids! It’s way more realistic for a group of teens to hesitate about going up against a woman who can create monsters on a whim. 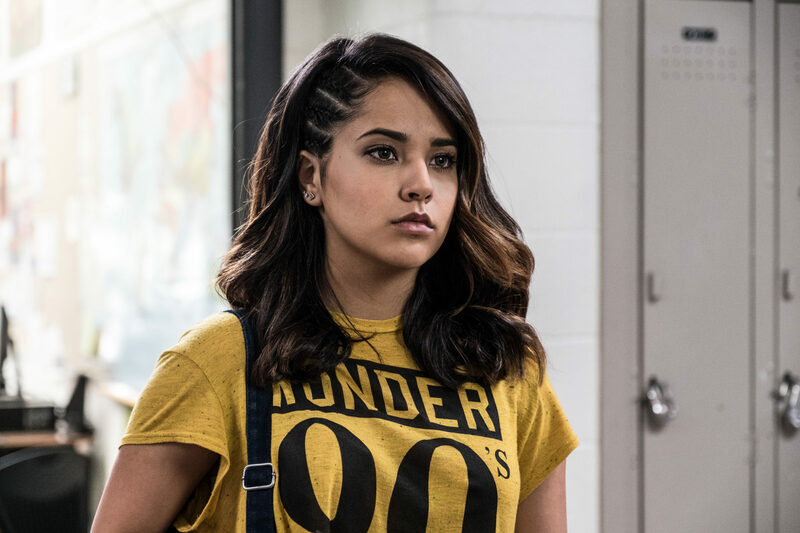 Same with Trini and her reveal when Zack corrects his assumption about “boyfriend troubles” to “girlfriend troubles.” Her monologue about not fitting the labels her parents set out for her reminds me of the numerous It Gets Better panels I’ve done where teens have said the exact same thing. While some may be upset that she doesn’t blatantly come out and say it, I think that having a character—a high-school-aged character—bring it up is a step in the right direction. Many kids are questioning themselves at this age, so having a character vocalize it, not get criticized, and go on to be a hero is wonderful. Ah, after 10,000 years Rita is free; it’s time to conquer Earth. Cue Alpha following Zordon’s specific instructions to recruit teenagers, something about power coins, and now we’re set to GO, GO! In the old series we’re told numerous times that Rita is a threat, but there are only a handful of times where she actually feels like a threat. Most times, we were just waiting for her end line about having a headache because of her numerous defeats. 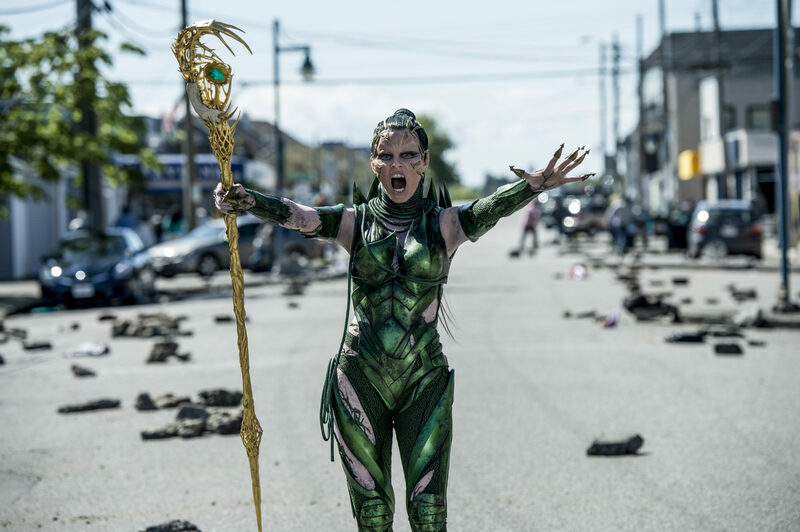 Rita is a real threat in the movie. It’s not so much Zordon seeking out a group to fight her, it’s more like a group stumbles in, he realizes she’s loose, and he desperately tries to get them in shape before she comes to town. There’s history between Zordon and Rita, and he has reason to be fearful of her. Rita actually does serious damage, and you really don’t want to have to go up against her, let alone any of her creations, otherwise you may end up at a peace conference (just kidding, you’ll straight up die). Speaking of Zordon . . . he’s not wholly innocent in all of this either. There’s a very real feeling of someone willingly putting kids at risk and not telling them the full story, because he’s so anxious about Rita’s return. 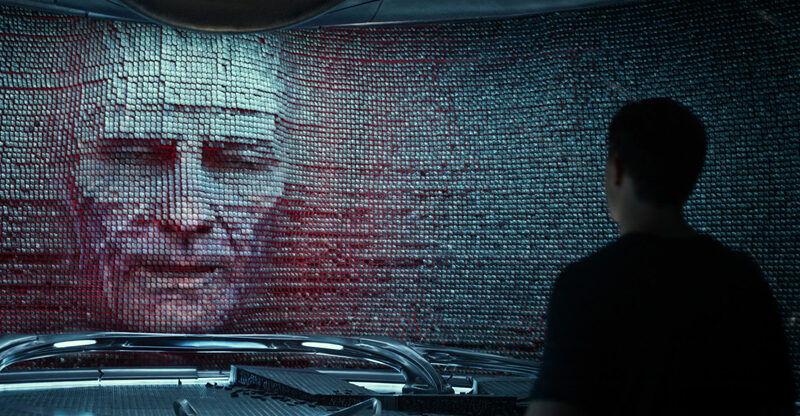 He has good reason to feel like that, but it’s a welcome change to see Zordon move beyond the wise man who grants powers to whoever he feels is worthy. Along with revamping the characters, this movie did something else that was a welcome change: training. You’ve seen the trailers where they realize that they suddenly have powers and aren’t quite sure how to use them, right? Well, the movie keeps up with that theme throughout because this team has no idea what they’re doing. They actually have to EARN the ability to morph—much to Zordon’s frustration. He needs them ready as soon as possible, but without their hearts and minds being unified, it’s not going to happen. It’s clear that Zordon is ready for war and that he and Alpha expect the same from this new team. “You’re Power Rangers,” they’ll say, as if that can solve everything. But as these kids demonstrate, it’s not that simple. Just because you have the ability doesn’t mean you know how to use it. You can’t just jump into a zord and fight evil, it doesn’t—and shouldn’t—work like that. This means when they finally do earn that power, you can’t help but cheer for them. They trained for it. They bonded together for it. And they . . . kind of know how to use it. 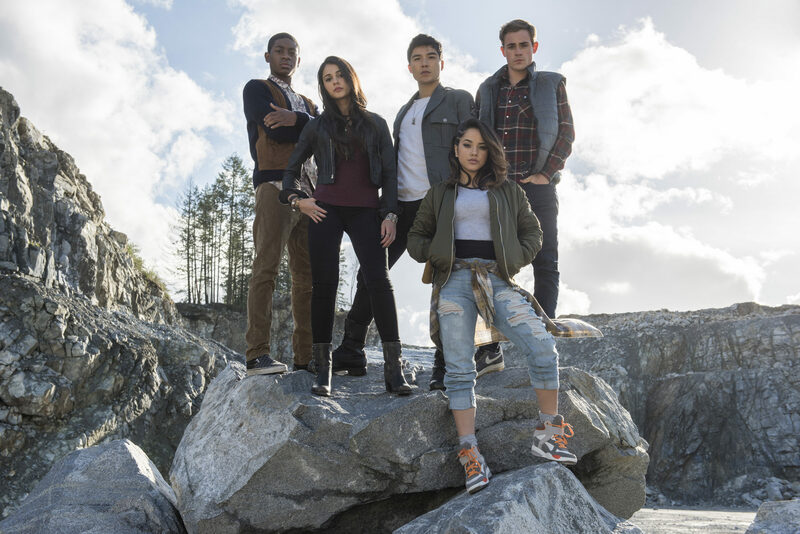 There’s something a bit charming about the group finally getting their mighty morphin’ selves together and still struggling every now and then. No one said zord piloting would be easy. Despite the praise I have for the movie, it does have its problems. It’s far from being perfect, but it is a good reboot to the franchise I grew up with. The pacing is a bit wonky at times. It’s not enough to make the movie unwatchable, but it is noticeable. The beginning especially feels rushed as it introduces our heroes, but thankfully, it slows down so we can actually get to know them. There’s also some camera work that’ll get a bit annoying, as if they can’t decide if they want to do that slow-mo fight-sequence trick, that first-person-point-of-view trick, or a full 360-degree panorama shot. Again, most of this is noticeable in the beginning, but it eventually reaches a comfortable point. I have listened to some reviewers complain that the movie can’t decide if it wants to be serious or cheesy. This is especially evident with Rita. The rangers themselves have great chemistry together and, for the most part, they aren’t cheesy; they’re actually funny (save for a scene near the end—you’ll know it when you see it). There is a lot of humor and fun to be had with this, but Rita does, on occasion, fall into that cheesy sorceress role she used to have. This is a bit glaring with her character because she is legitimately intimidating to the point of actually being scary in some scenes. She also makes foolish decisions, similar to those old Adam West Batman episodes where the villain could just end it all in one shot, but they decide to leave it to chance. Why someone who practically orgasms at the thought of killing off the rangers wouldn’t do it immediately is beyond me . . . well, not really, because MMPR has always been predictable. As much as the rangers themselves are a welcome surprise with their personalities, you kinda know how this is all going to end—but it is a good time watching the adventure up to it. Ultimately, if you’re a fan of the franchise, you will enjoy this movie. You’ll enjoy the characters, you’ll enjoy the humor, and you’ll enjoy the nods to the classic series. Even if you’re not a MMPR fan, you may have a good time with it. 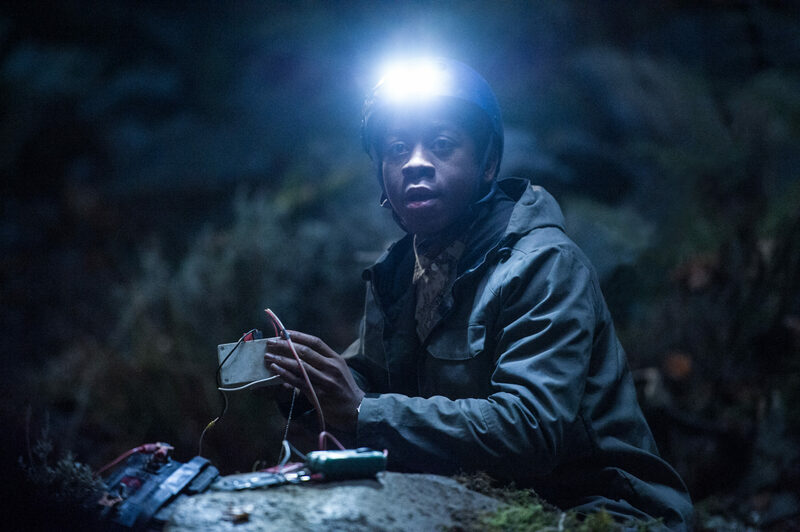 As much as it is about the fandom, you won’t curse the fact that your friend with the Power Rangers ringtone dragged you to the theater over the weekend. This movie essentially breathes new life into a long-running franchise, while paying homage to the original. Even with the issues I have with it, I left the movie with a smile on my face and a quiet, fangirl hope that they do more with these characters. Oh, and stay for the credits. You won’t regret it.